GOLD is a NASA Mission of Opportunity that will fly an ultraviolet imaging spectrograph on the SES-14 geostationary commercial communications satellite, built by Airbus for SES. The two-channel imaging spectrograph will explore the boundary between Earth and space, a dynamic area of near-Earth space that responds both to space weather from above and to weather in the atmosphere from below. During the environmental testing phase, the 80-pound instrument underwent a variety of rigorous electrical, mechanical, and thermal tests that simulate the vibration and noise it will experience during launch, and the vacuum and extreme temperatures it will experience in orbit during the mission. 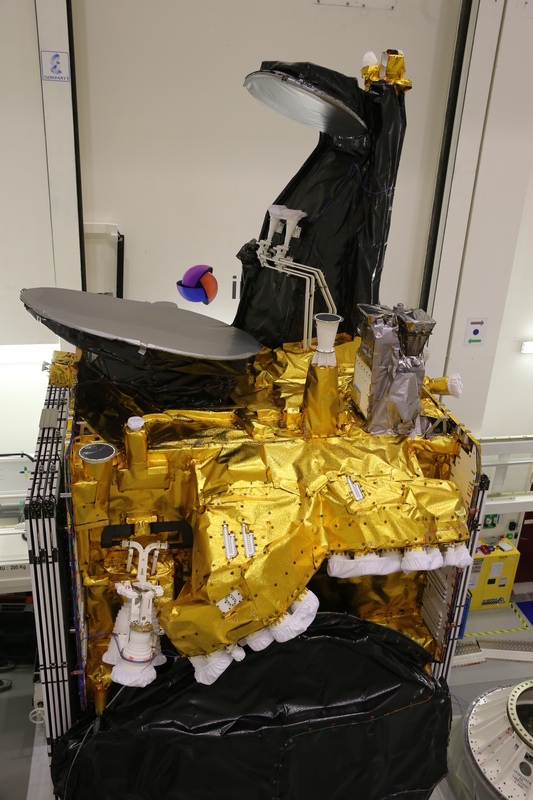 Currently, the SES-14 spacecraft—on which GOLD will fly as a hosted payload—is being prepared for shipment to the Arianespace launch site in Kourou, French Guiana. As the first NASA science mission to fly as a hosted payload on a commercial communications satellite, GOLD will collect observations over the western hemisphere with a 30-minute cadence, yielding an unprecedented amount of coverage. 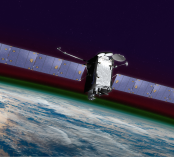 As a result, GOLD will be the first mission able to study the day-to-day weather of the thermosphere and ionosphere, rather than just its long-term climate. Geomagnetic storms driven by the Sun cause changes in the near-Earth space environment that can impact our lives by disrupting radio, cell phone, and GPS communications. GOLD’s unprecedented measurements of the effects of these storms on the Earth’s upper atmosphere will improve our understanding of their short-term and long-term impacts. NASA’s Goddard Space Flight Center, in Greenbelt, Maryland, manages the GOLD mission as part of its Explorers Program, which seeks to provide frequent, low-cost access to space for NASA heliophysics and astrophysics missions requiring small to mid-sized spacecraft. LASP designed and built the GOLD instrument, and is providing project management, engineering, safety and mission assurance, instrument operations, and public outreach for the mission. The University of Central Florida oversees the project and has implemented the data center that will process and disseminate GOLD science data. Other members of the GOLD team include the National Center for Atmospheric Research, the University of California at Berkeley, Virginia Tech, Computational Physics, Inc., and the National Oceanic and Atmospheric Administration.